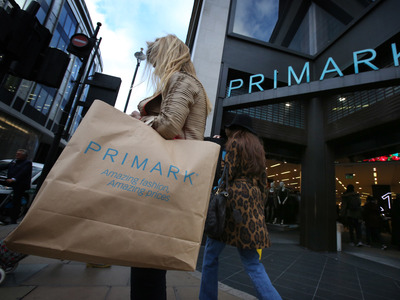 LONDON — Clothing giant Primark’s expansion into North America is proving a success, as owners Associated British Foods (ABF) reported a 10% increase in revenues in the first three quarters of the year on Thursday morning. ABF owns a range of businesses, including Dorset Cereals, Ryvita, and Primark, and saw strong growth this year. Third quarter growth was strongest and ahead of expectations, at 13%. “Currency headwinds may be hitting margins, but Primark’s disposable fashion at amazing prices remains popular with shoppers across Europe, with sales growth many high street retailers would kill for,” said Nicholas Hyett, an equity analyst at Hargreaves Lansdown. “Primark’s North American expansion finally seems to be gathering a head of steam too, with the two new US stores opened this quarter trading particularly well,” he said. Primark currently has eight stores in North America. ABF’s shares rose sharply following the announcement, up 5.2% as of 09:20 a.m. BST (04:20 EST).